Lakland 5-string basses feature a B-string that is tight, well defined and feels like a natural extension of the instrument – accomplished by combining a 35" scale with the solid anchoring of the string through the body design. The necks on Lakland’s 55 series basses are slightly narrower than other 5-strings, making them as accessible as they are tonally sound. All Lakland 5-strings are 35" scale with fingerboards available in birdseye maple, rosewood or ebony. The 55-94 was our first five-string bass. An MM pickup in the bridge position and a single J-style at the neck. The MM is equipped with a coil splitter. This is a B-Stock item, meaning something is not 100% up to the rigid standards of Lakland. In this case, there is a tiny imperfection in the finish on the BACK of the body. It is barely visible and on the back. I tried to take close up detail shots of this and could not even get these "defects" to show up in photographs. 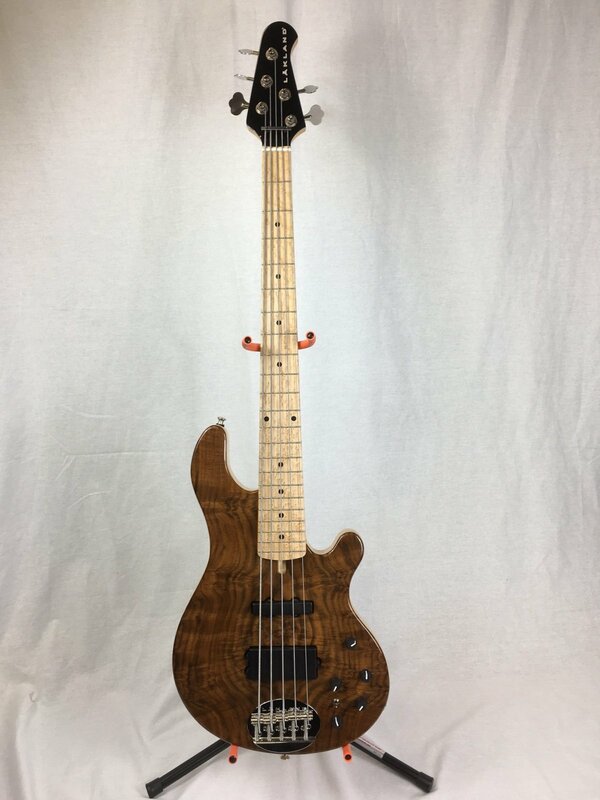 It is an incredible American-made bass with a less than 100% perfect finish for a great price!